You are here: Home / General Information / Animals Today Nov 6, 2016: Who should be permitted to have Emotional Support Animals? 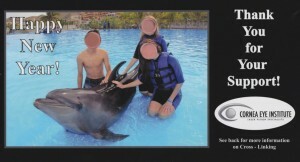 Swim with dolphin programs losing popularity. Helping youth grieve the loss of pets. Backyard ingestion hazards for dogs and cats. The show begins with Dr. Jeffrey Younggren, Clinical and Forensic Psychologist at University of Missouri. Lori and Jeffrey discuss the current legal and regulatory status of service animals (usually dogs) and Emotional Support Animals (ESAs). There is a lot of misinformation and confusion regarding where the animals are allowed to go. Dr. Younggren also provides his opinion on which professionals should properly certify the use of ESAs. Then Peter welcomes Dr. Naomi Rose, Marine Mammal Biologist, Animal Welfare Institute, to discuss swim with dolphin programs. A new Mexican owned facility has recently opened in Scottsdale AZ, with the usual promotional methods being employed to attract visitors. Animal Welfare Institute has new survey data showing that a growing proportion of Arizona residents do not approve of holding dolphins in captivity for the purpose of swimming with them. This represents a great positive change over the past two decades. Next, Lori welcomes Colleen Ellis of the Pet Loss Center who offers sound advice on helping children and teens cope with the loss of their companion animals. To conclude the show, Robert Reed, DVM, Medical Director at VCA Rancho Mirage Animals Hospital discusses the various hazards our dogs face in our backyards including bugs, grass, mushrooms, other plants and toads. Holiday card sent to me by physician colleague. 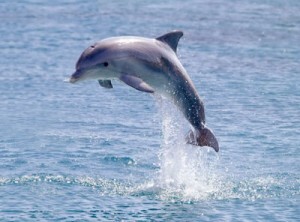 We like our dolphins wild and free.